Kathleen Walsh designed a modern retreat for a globetrotting family who decided to put their urban existence out to pasture and start a new life in the country. Designed by Kathleen Walsh, the palette for this Martha's Vineyard living room was kept neutral to let the views be the central focus. 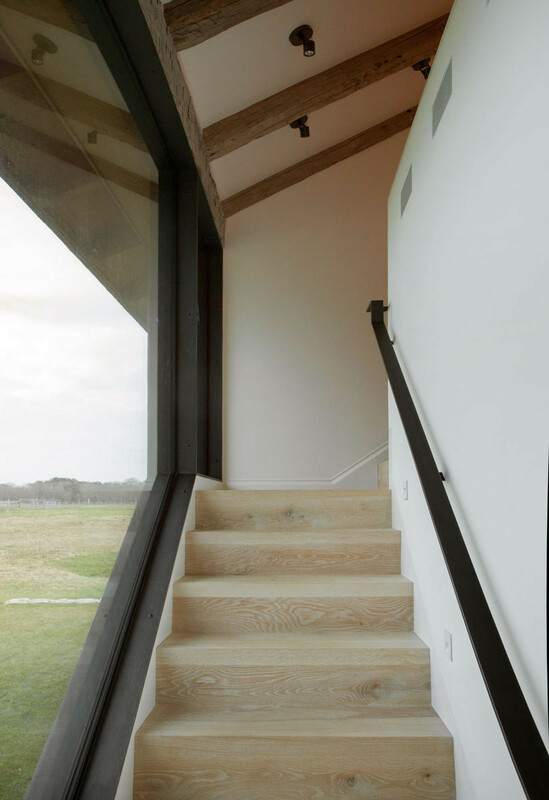 From the outside, the crystal-clear picture window resembles a flung-open barn door. From New York to Connecticut, Texas to London—the moves were fast-paced, far-flung, and often sudden thanks to Eric Glasgow’s job as an oil trader. But each time, he and his wife Molly took care to create a thoughtful home for their family. 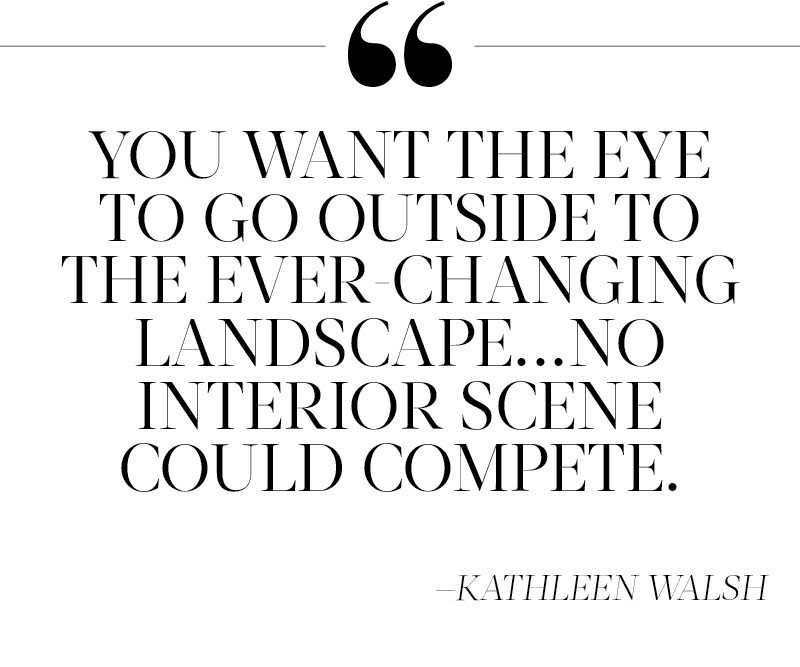 Designer Kathleen Walsh was an old friend and crucial member of the relocation team—with each new residence, she would leap into action, helping the family design a home appropriate to its new scenery, whether it was a modern duplex on Manhattan’s Upper East Side or a sprawling single-family house with French detailing in Houston. 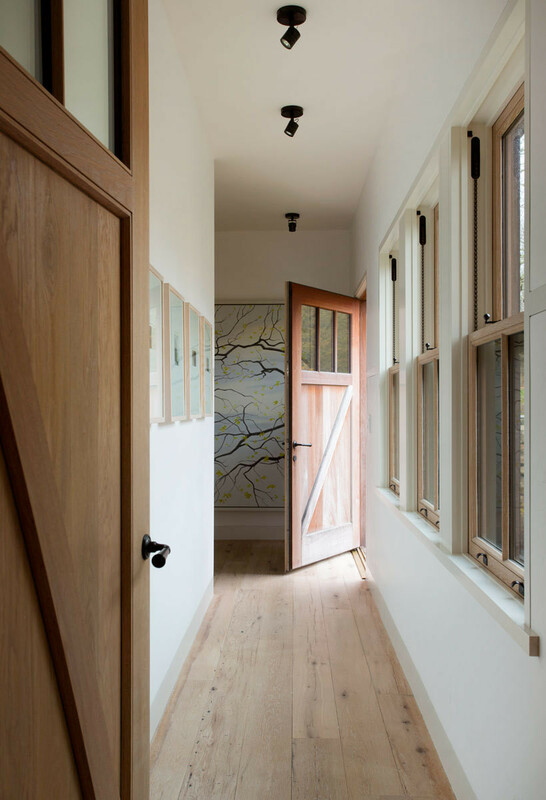 A long hallway leads to a pair of guest rooms, which feature cottage-inspired design details. 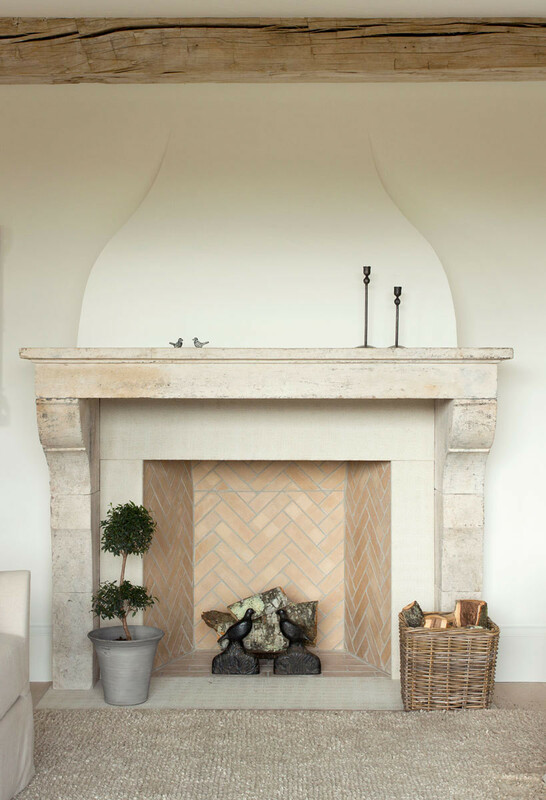 Contrasting herringbone stonework offsets an aged white mantel in the living room. “They were always very cognizant that their interiors should reflect the greater surrounds that they were in,” says Walsh, who met Molly while studying at the Pratt Institute in New York, and had previously designed homes for the newlywed couple and their growing family. “The design had to reflect where they were at the moment.” Even if they weren’t there for very long: “In their Greenwich house, we had just placed the last piece of furniture and finished taking the final photo when they told me they had to move again,” recalls Walsh, who was convinced no new relocation announcement by this nomadic family could ever surprise her. With its walls lined in books, rough-hewn wood, and heavy curtains, the dining room is designed to envelope its inhabitants rather than turn their attention outside. A vibrant backdrop gives a server in the kitchen an added dose of color. To highlight the Glasgows' passion for art collecting, works are displayed with the intention that they will be frequently moved and rotated. 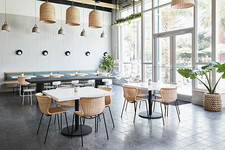 The eat-in dining space in the kitchen is where most meals are enjoyed. Farmhouse-style chairs in a dreamy blue-gray shade are by David Iatesta, and the pendants are antique. 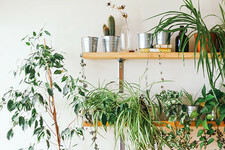 Owner Molly Glasgow was adamant that the home feature an actual timber frame. “We didn’t want to fake anything,” says Walsh. Fumed ash was used for the flooring throughout and creates a grounding depth to each room, hallway, and staircase. The design of the home itself was an exercise in figuring how the family wanted to live on a daily basis—they had spent so many years adapting to various existing spaces and ways of life that this opportunity was invaluable. The result is a house that emphasizes togetherness. The kitchen is the heart of the home and features two sizable islands—one for cook prep, the other for homework and hanging out, allowing the entire family to work in the same room. 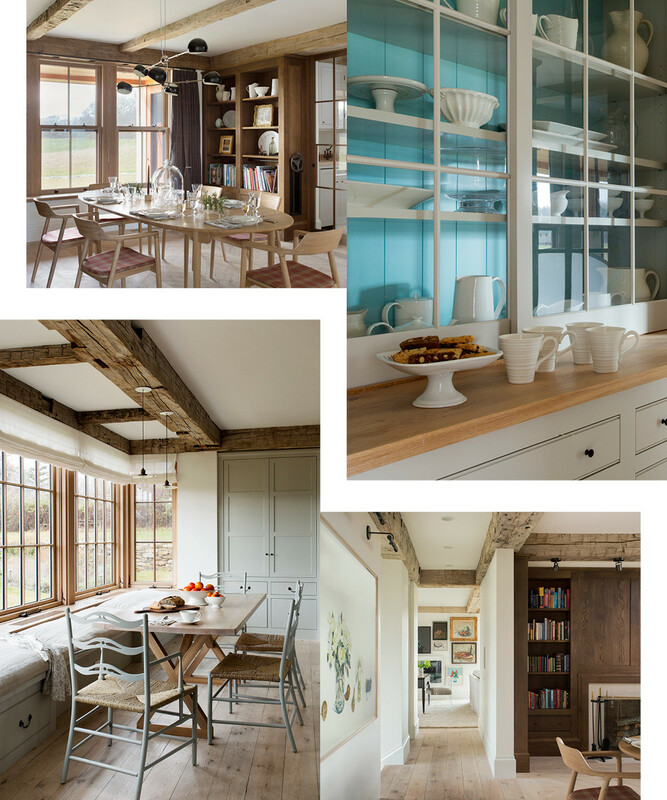 Most meals take place here, too, at the custom-designed modern farmhouse table and built-in banquette. 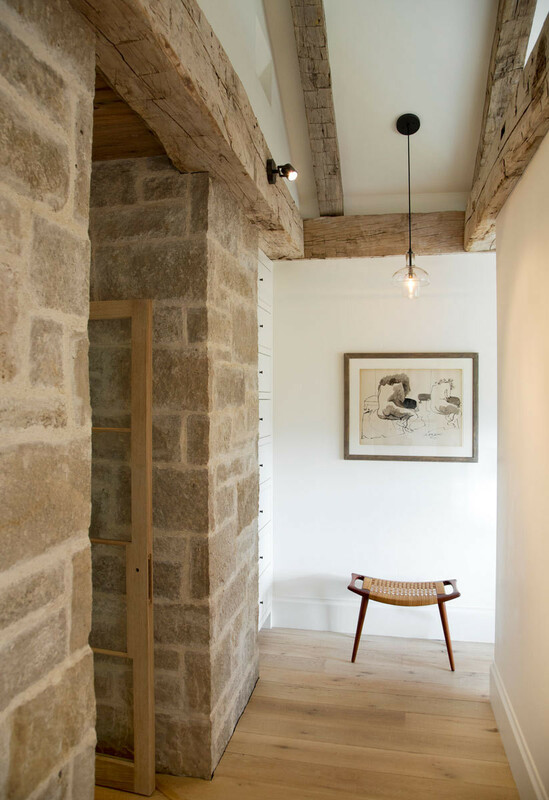 An otherwise clean-lined layout is brought back to the land with a reclaimed beams. A small powder room features a rough-hewn sink and an understated glass pendant. The master bedroom combines sleek shelving with more organic details. 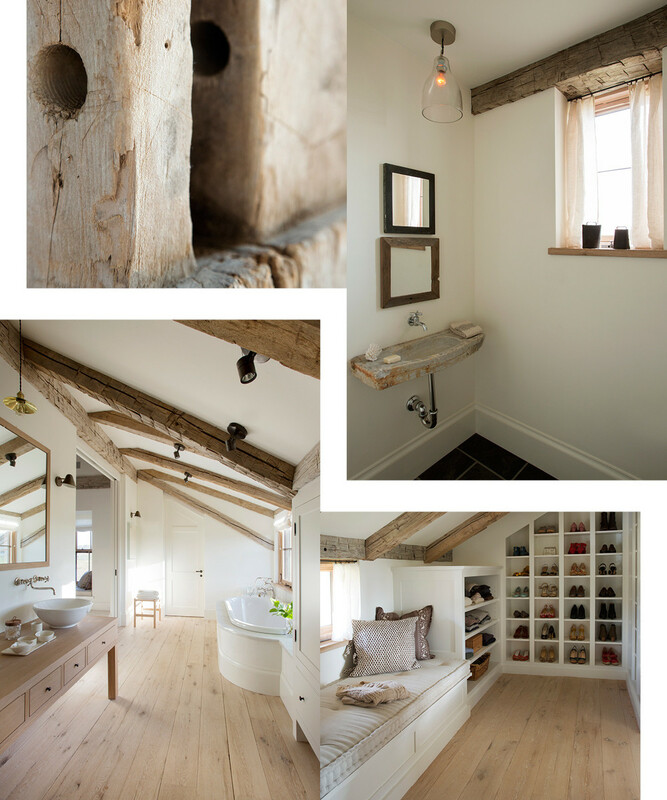 The serene yet simple master bathroom evokes a cozy cabin thanks to sloping ceilings and furniture-inspired fixtures. 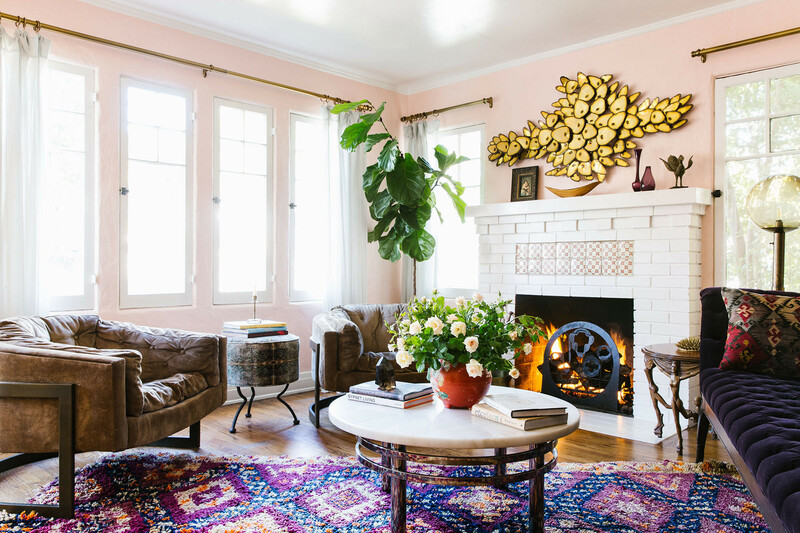 California designer Christina Karras reimagines an Old Hollywood bungalow for her own modern family. 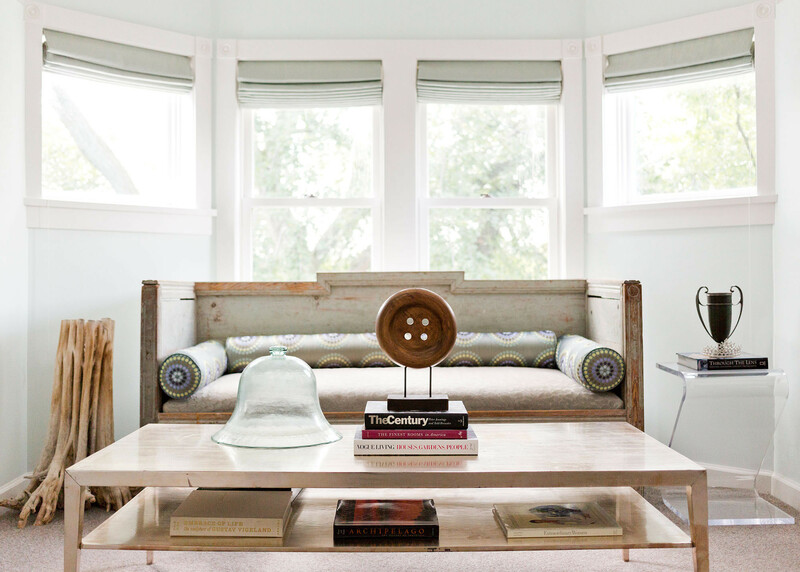 James Huniford transforms a 1910 farmhouse into a contemporary home both intimate and inviting. History and high style collide when designer Julia Buckingham’s childhood dream house finally becomes her own.